When I was a teenager and I was asked at school what my hobbies were, I blurted out the unusual stuff; reading, swimming and playing netball. The only true hobby of mine amongst that list is reading. In truth, I hate sports, but love history. History is my real hobby, my passion (but declaring that in a classroom full of mean girls and pretty boys wouldn’t have gone down too well). As an adult, I feel unrestricted and can discuss my interests and I’m fortunate enough to have made a career out of my hobby. I teach, research and write about history by day, but in my spare time I indulge in a hobby of mine that has developed from this interest in history – visiting castles. This is a pastime I have encouraged my children to embrace too and it makes for some fabulous days out! I have travelled all over the UK trying to tick off as many castles on my list as possible and I must say, I have quite an impressive record. 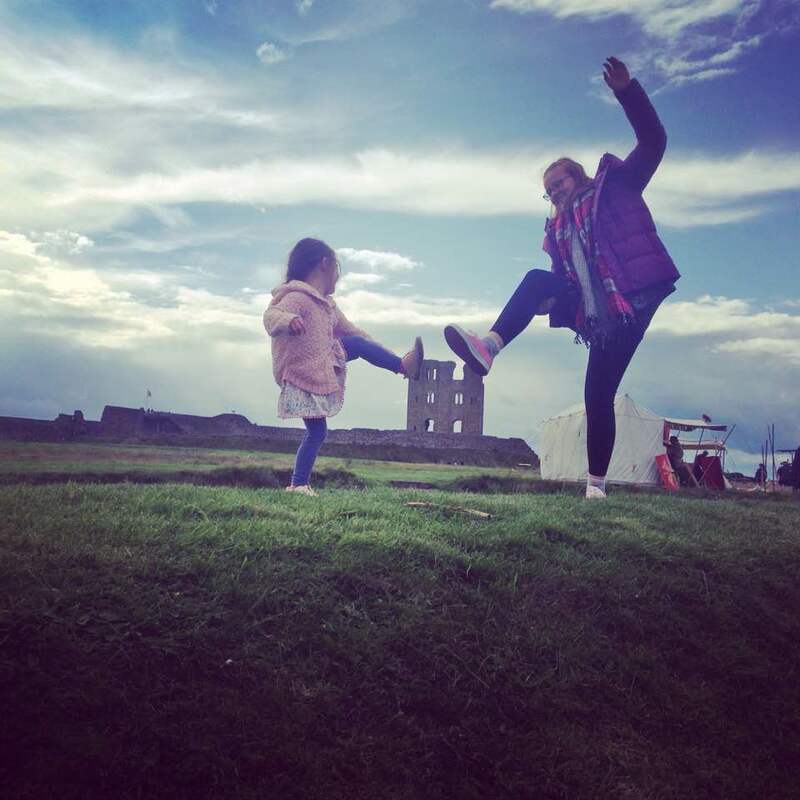 I’ve put together a list of my top 5 favourite castles in the North of England to hopefully inspire others to also take up this favourite pastime of mine. 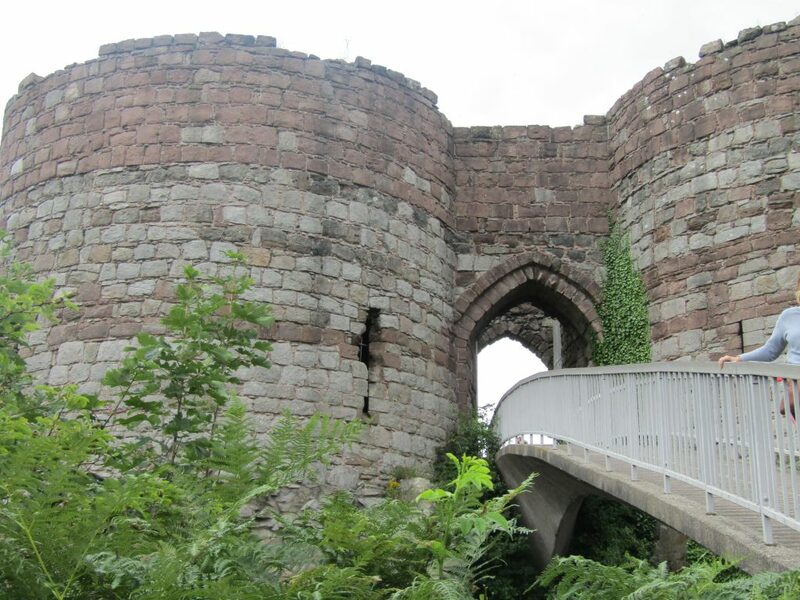 Located outside of the hustle and bustle of the busy city centre, surrounded by beautiful woodlands lies Beeston castle. The castle itself was built some 800 years ago in the 1220’s. Not only the castle, but the grounds ooze with history. This particular castle has made my top 5 due to some of its unusual features. 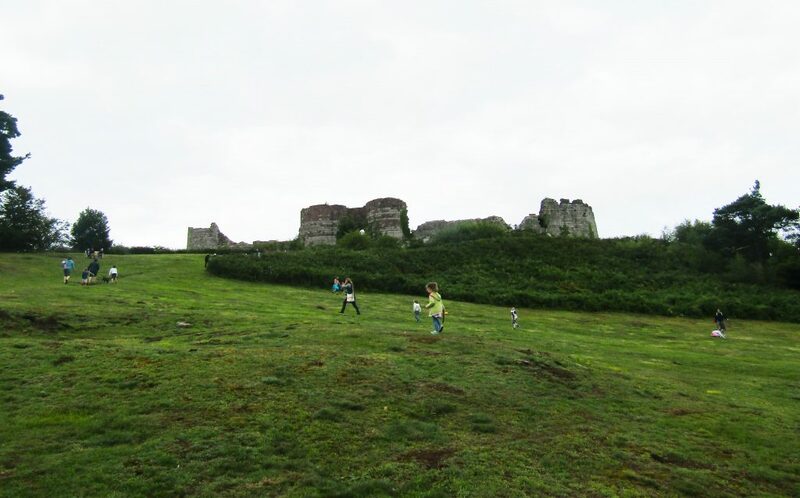 The castle sits on top of a hill and is surrounded by an outer bailey (an outer wall). The distance between the outer bailey and the castle is rather substantial, so much so that a woodland lies between them. I have never seen anything quite like it. We spent hours exploring the woodlands and enjoying a family picnic here whilst admiring the castle above. 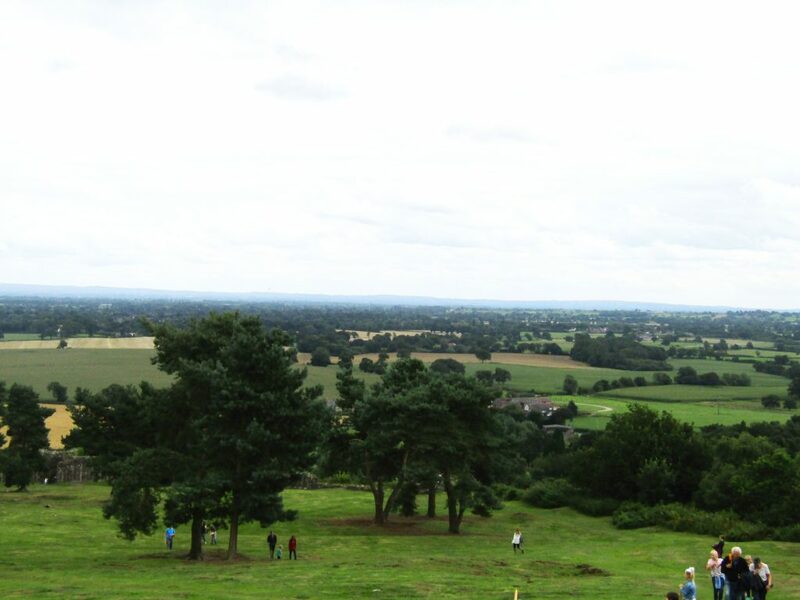 From the outer bailey, views from all over Cheshire can be enjoyed. 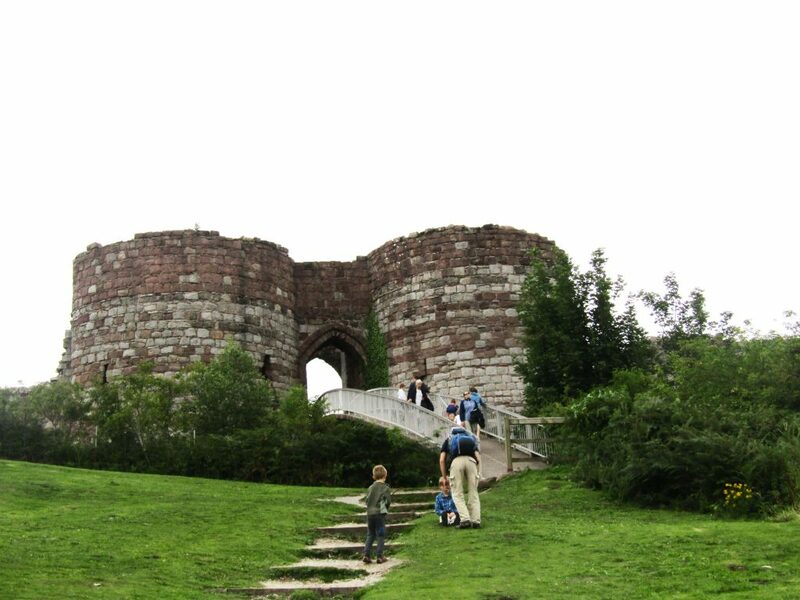 Beeston castle quite often holds various events, including tournaments and melees. These are fabulous events and make a most memorable day out for the whole family. A later and thus better-preserved castle is Bolsover, built in the 17th century. This castle exudes the grandeur and opulence reminiscent of that period in our country’s history. 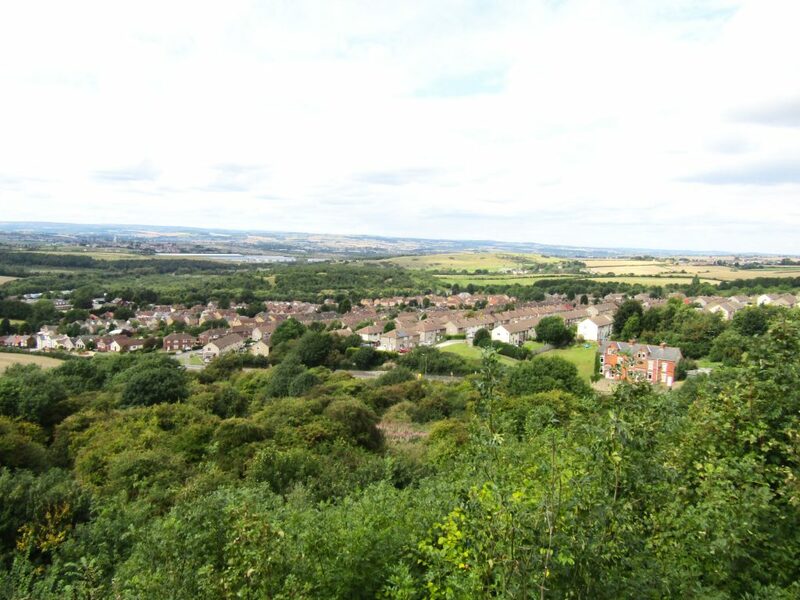 The castle lies within the pleasant quaint town, Bolsover. This site is one of the larger castles I have visited. There are a number of buildings, along with many rooms to explore within the castle itself, in addition to the ruins within the grounds. 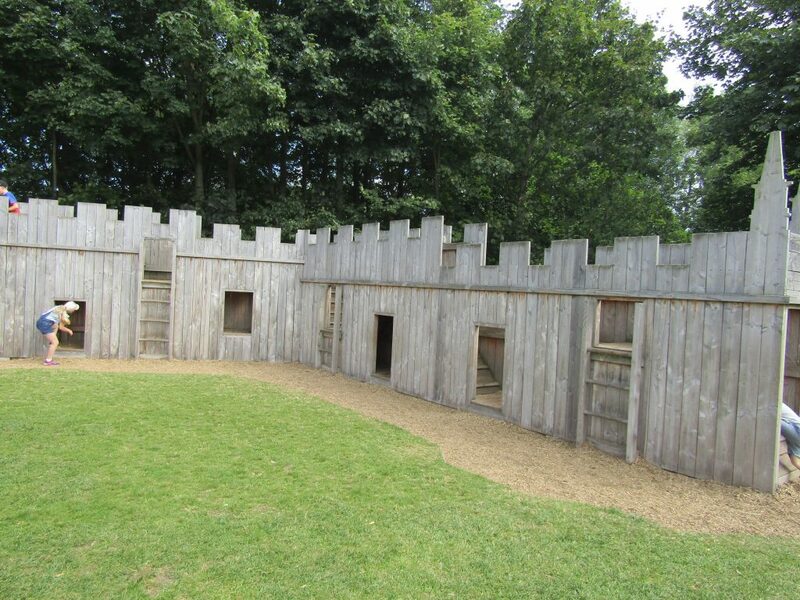 You can walk along the castle walls, children can also play in a fabulous play area (designed as a mini Bolsover castle). We really enjoyed the interactive exhibition which is located in the Riding house. The views from the castle are quite remarkable and make for some beautiful photographs. 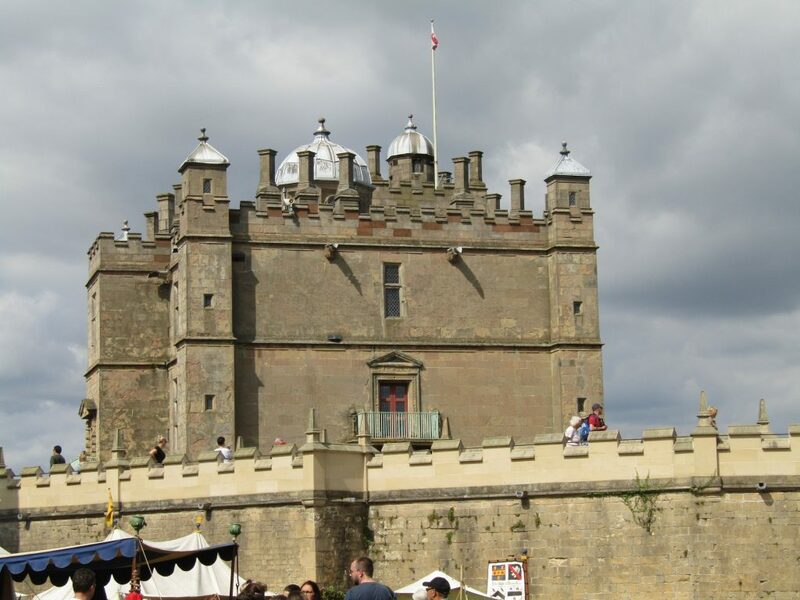 Bolsover is another castle which hosts a number of events in the spring and summer months. 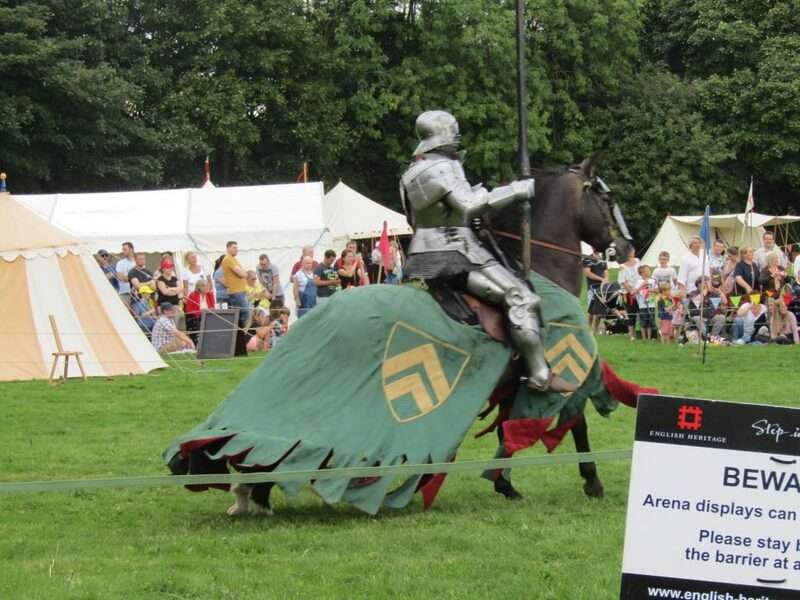 Such as jousting and horse riding demonstrations. 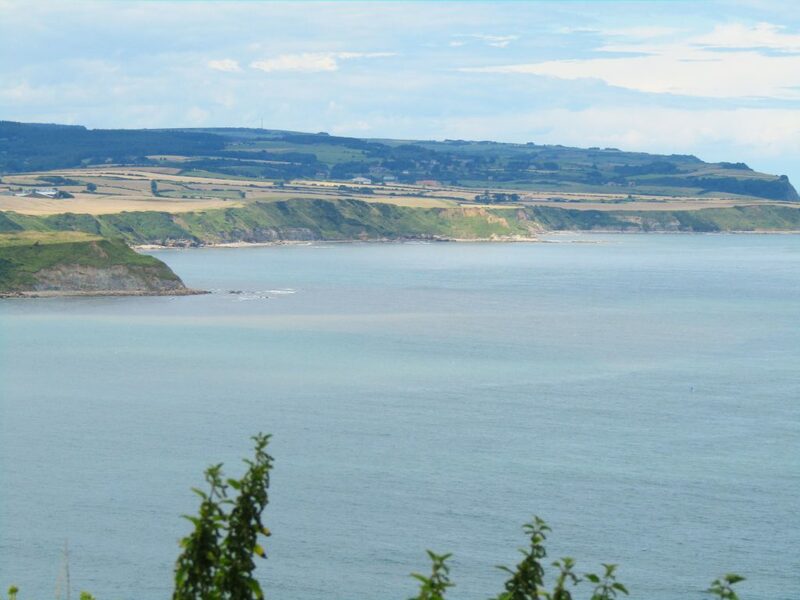 Not as well preserved as some of the castles on this list, yet is exceptional nevertheless is Scarborough castle. This site is something of a time warp taking you through a journey of our past. Within the grounds lie evidence of a Roman settlement with the ruins of a Roman signal station overlooking the North Sea. The remnants of an Anglo-Saxon chapel can be seen as well as the awe inspiring 12th-century stone keep which dominates the landscape. The outer bailey still stands and within these walls the ruins of the once huge, glorious full-scale castle can be explored. The 18th century Master Gunner’s house now houses an exhibition as well as a café. 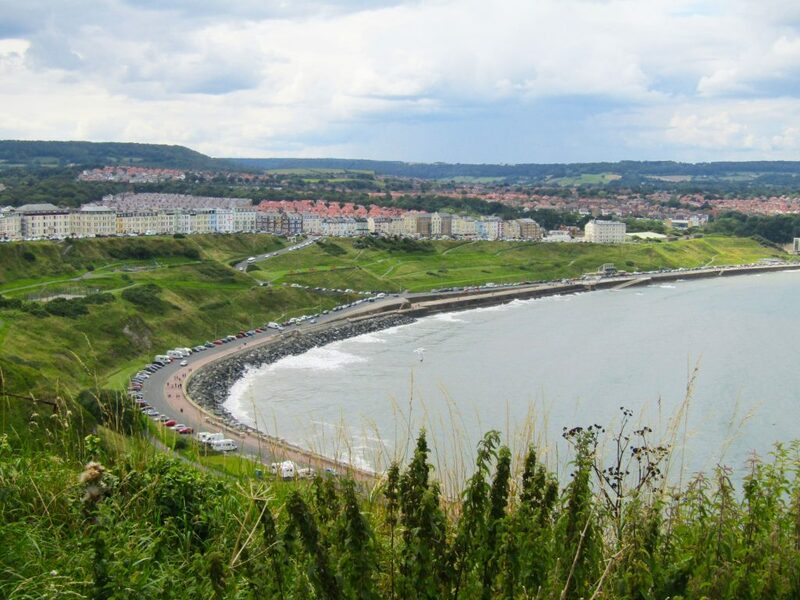 As with most medieval castles, Scarborough castle was built atop of a hill and remarkable views of the sea and Scarborough bay can be enjoyed from the site. 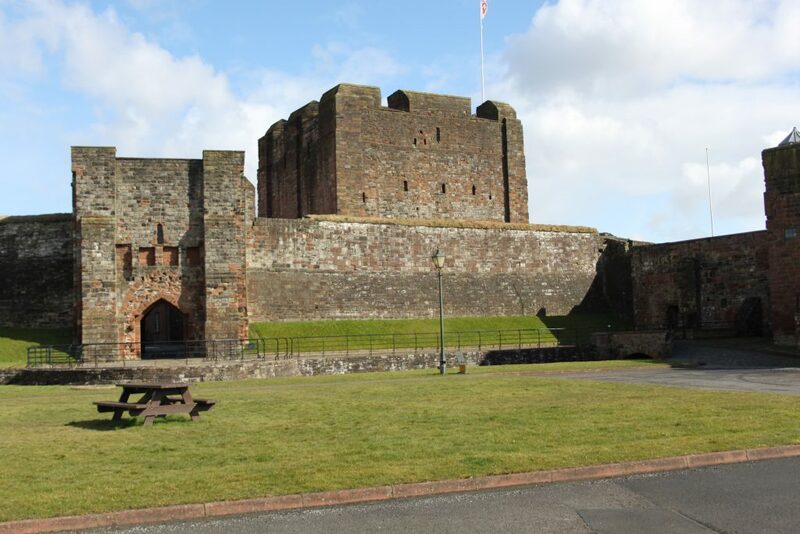 Unlike the other castles on this list which I have visited numerous times, I have only visited Carlisle castle once and only this year, yet I will most definitely be planning a return visit in the summer. 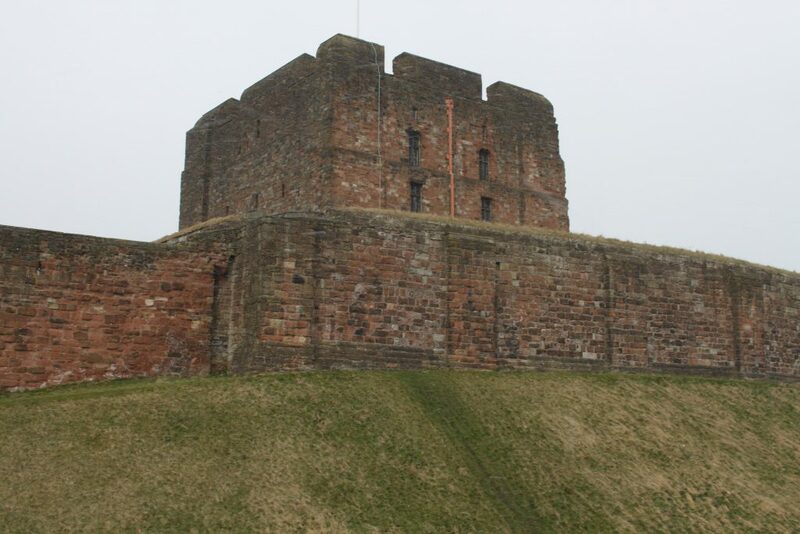 The castle is located close to the centre of Carlisle and therefore looks something of an anomaly amongst the modern buildings and roads. Although not situated in a picturesque location (although I’m sure it was when it was built) inside the castle walls you would be unaware of the modernity of the outside world. 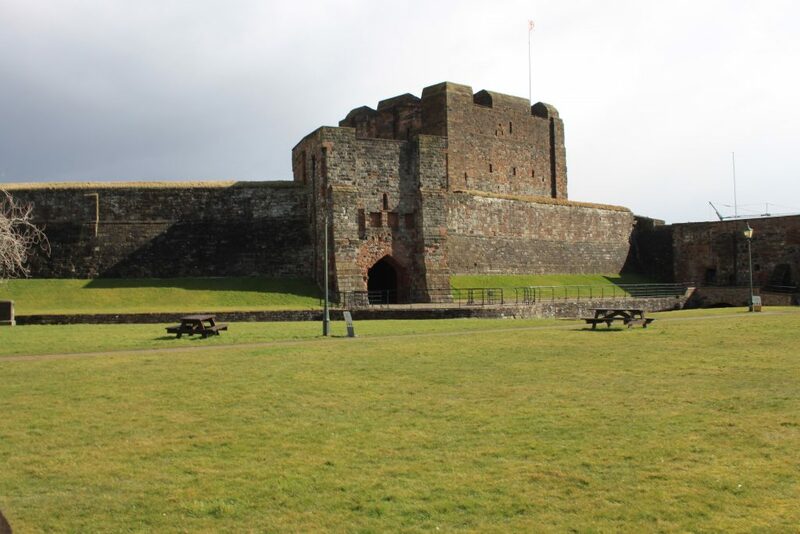 The site has always been strategically important since Roman times as the battles between the English and the Scots have ensued throughout the ages. It holds the title of the most frequently besieged castle in the UK. The castle we see today was built some 900 years ago and is surprisingly extensive. The castle keep contains 4 floors and each floor contains several huge rooms. The second floor houses some unusual wall drawings or ‘doodles’ as they have been dubbed which are some 500 years old. The brave can walk the walls of the keep and the warden’s tower (was used to house Mary Queen of Scots) can be explored. A military museum lies within the grounds which is well worth a visit. Dominating the Northumberland landscape sits the majestic Bamburgh Castle. 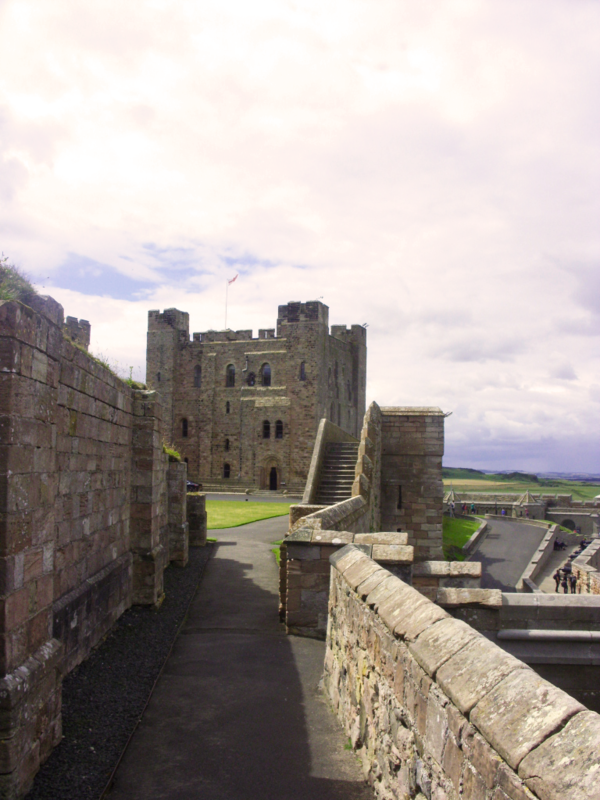 Bamburgh was first built in the 11th-century, however additions have been made to the castle throughout the centuries. Although some of the castle has now been converted into apartments, surprisingly, there are many areas which are still open to the public. Each room of the castle is filled with artefacts, such as weapons and magnificent works of art. 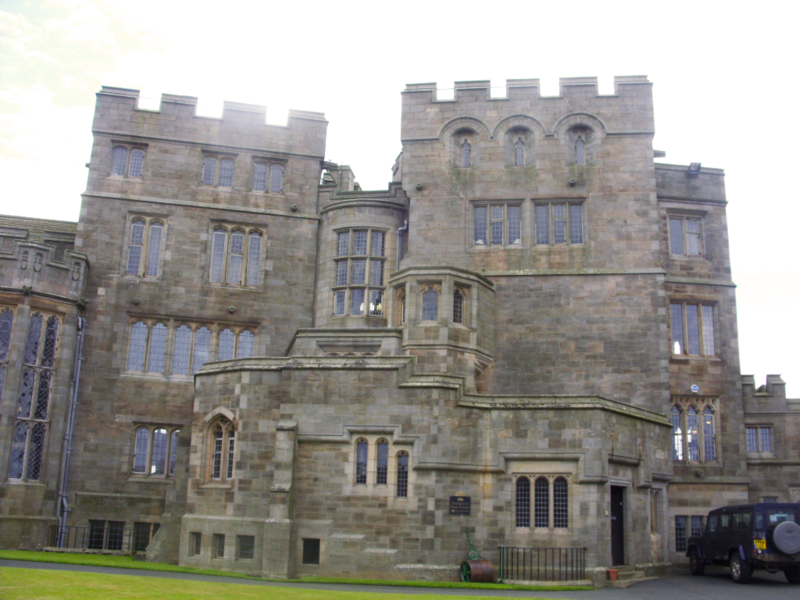 Bamburgh Castle truly offers each visitor a history lesson, taking you through the ages of the castle. 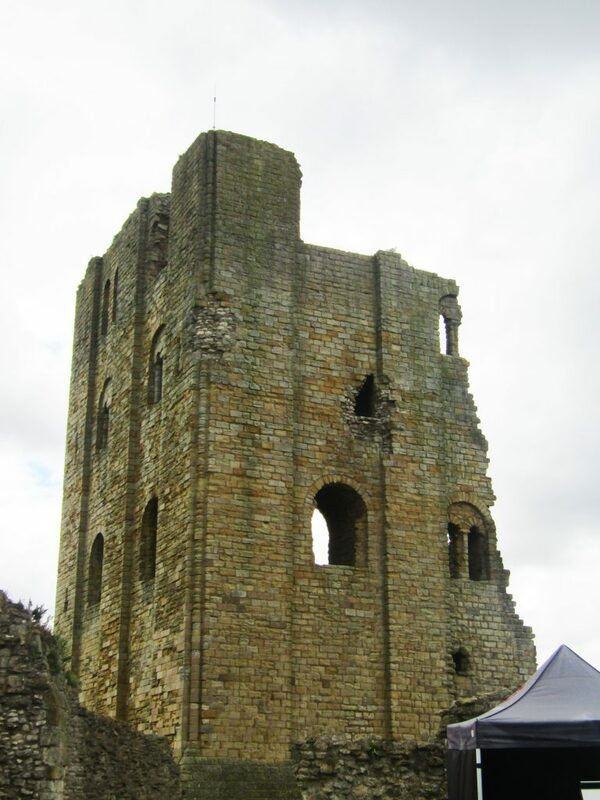 Prior to the 11th-century stone structure we see today, the site was once home to the Anglo-Saxon Kings of Northumbria. A stone throne has been erected inside the castle, so you can enjoy the views as the kings of old once did. 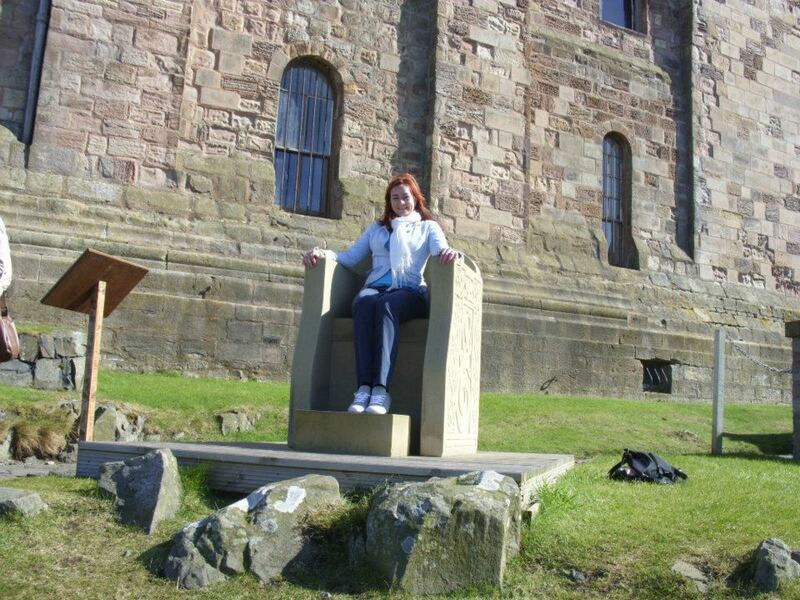 The most memorable aspect of my visit to Bamburgh Castle is undoubtedly its location. 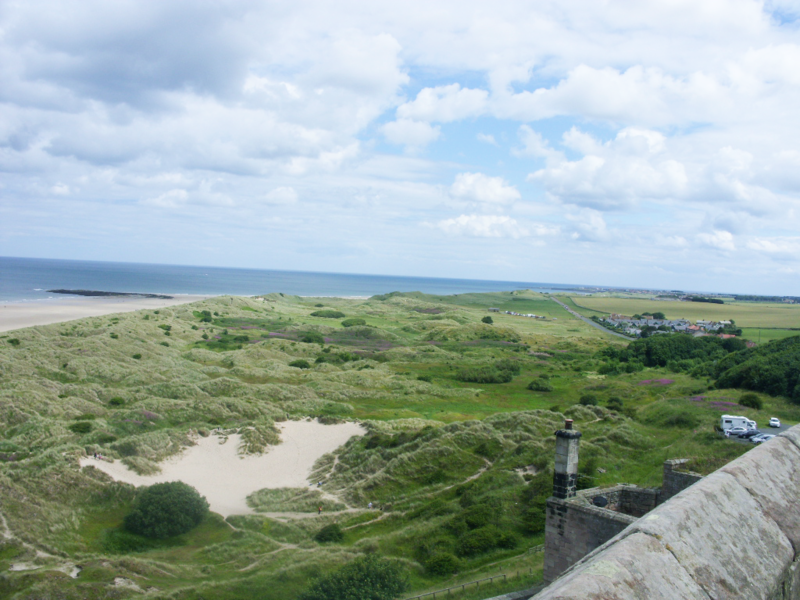 Overlooking the coast, I enjoyed some spectacular, breath-taking views from the castle walls. A quaint beach lies close to the castle upon which we enjoyed a picnic after our visit to the castle. If anyone would like to indulge in my hobby, I would highly recommend purchasing English Heritage membership. Once annual membership has been bought, there is no charge to enter English Heritage sites (some other partner sites offer discount for English Heritage members). Having made this purchase we ensure we ‘get our monies worth’ which prompts us to go and visit a new location most weekends. Not only has this allowed me to fulfil my dream of travelling the lengths and breadths of the UK visiting castles, it has also given my children a hobby, as well as an opportunity to educate them about English history. We also take in much more fresh air than we ever would have done and get a lot more exercise – it ticks all parenting boxes! What I love the most about this hobby is that it’s something that the whole family can get involved with. Castles are interesting and educational which makes it a perfect day out. I have been to a few castles around the UK but most of them have been in ruins so it would be nice to visit one of these. Bolsover Castle looks like a great place to visit (mainly for the jousting). Thank you Ashley for such an in-depth and inspirational article. – Sarah (founder of Hobbyism).